Brian Sullivan, D.C., is a chiropractor located in Boston, MA. Take the next step and contact Dr. Brian Sullivan, D.C., for a consultation in Boston, MA or to get more information. Theresa V Mitchell, D.C., is a chiropractor located in Boston, MA. Take the next step and contact Dr. Theresa V Mitchell, D.C., for a consultation in Boston, MA or to get more information. James C Ellis Dr, D.C.
James C Ellis Dr, D.C., is a chiropractor located in Boston, MA. Techniques: • Activator Methods • Diversified • Gonstead • Nimmo • Trigger Point Therapy Take the next step and contact Dr. James C Ellis Dr, D.C., for a consultation in Boston, MA or to get more information. Thomas Fagan, D.C., is a chiropractor located in Boston, MA. Techniques: • Pierce • Trigger Point Therapy • Diversified • Thompson Take the next step and contact Dr. Thomas Fagan, D.C., for a consultation in Boston, MA or to get more information. Mark A Horn, D.C., is a chiropractor located in Boston, NY. Techniques: • Diversified Take the next step and contact Dr. Mark A Horn, D.C., for a consultation in Boston, NY or to get more information. Paul Elminowski, D.C., is a chiropractor located in Boston, NY. Take the next step and contact Dr. Paul Elminowski, D.C., for a consultation in Boston, NY or to get more information. Matthew J Mallen, D.C., is a chiropractor located in Boston, MA. Techniques: • Gonstead • Palmer Package Take the next step and contact Dr. Matthew J Mallen, D.C., for a consultation in Boston, MA or to get more information. David Tracy, D.C., is a chiropractor located in Boston, MA. Take the next step and contact Dr. David Tracy, D.C., for a consultation in Boston, MA or to get more information. 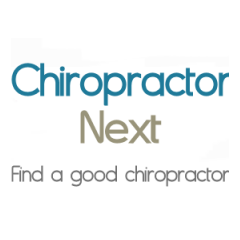 Gail Hepburn, D.C., is a chiropractor located in Boston, MA. Techniques: • Diversified • Sacro Occipital Technique Take the next step and contact Dr. Gail Hepburn, D.C., for a consultation in Boston, MA or to get more information. Thomas E Pierce, D.C., is a chiropractor located in Boston, MA. Take the next step and contact Dr. Thomas E Pierce, D.C., for a consultation in Boston, MA or to get more information.